Having integrity means that who you are on the inside matches everything you do on a daily basis. The Cambridge Dictionary defines Integrity as “the quality of being honest and having strong moral principles that you refuse to change”. I work with people at all levels – top management, department managers, supervisors and the workforce. The insights I receive are often very enlightening. I have learned that everyone has their own unique challenges but very often people don’t take the time to understand each other’s world. The secret about working with people is that it is all about people. 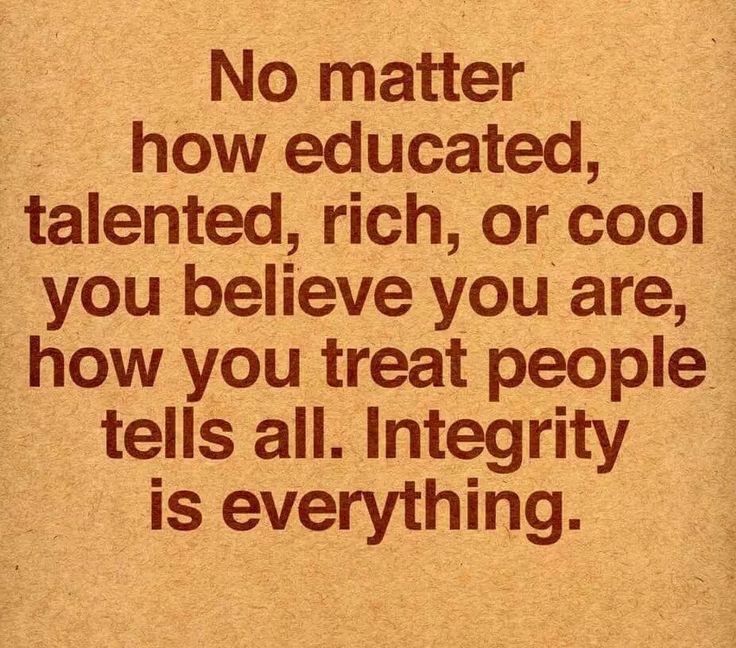 Integrity plays an important part in our interactions with others. Say “hello, please and thank you” to the people around you. Apologize if you made a mistake and be sincere. Stand up against bullies. If you lose your job because of this, so be it. Courage always gets rewarded with something bigger and better around the corner. If you are a manager, always highlight your team members’ accomplishments. Own up to your mistakes. Don’t let others down. Keep your co-workers and/or employees in the loop about what’s going on and make sure to explain “WHY” things are happening. Make sure that the credit goes to the person who had an idea or did an outstanding job. Build trust by helping and supporting the people around you. Be curious about other people’s way of looking at things. Have the courage to say no. If you can’t make it work, say it. Make sure you work for an ethical company. If you are expected to lie and to cheat, refuse it. You are better off to look for another job. If you miss a deadline, own it. Inspire people, don’t manipulate them. Office supplies are not for your personal use. If you want to develop trust within your team, don’t hide things from your team members. If you treat people like children, don’t expect them to behave like adults. Isn’t it good to receive a little reminder every once in a while? How are you doing when you look at this list?